This 1266 Sq. 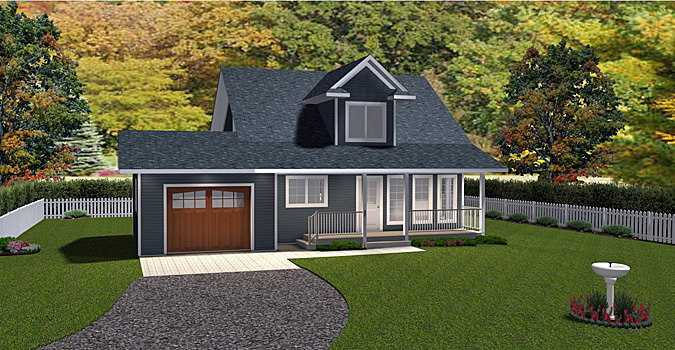 Ft. 2 Storey is the perfect size for that smaller lot. 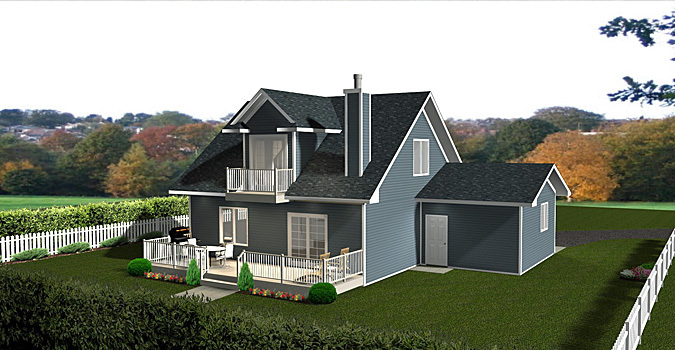 The front veranda and dormer gives it that country-style look. It also has a screened in sunroom to enjoy. The combined 4-piece bathroom/laundry room is fairly large and is right beside the master bedroom. 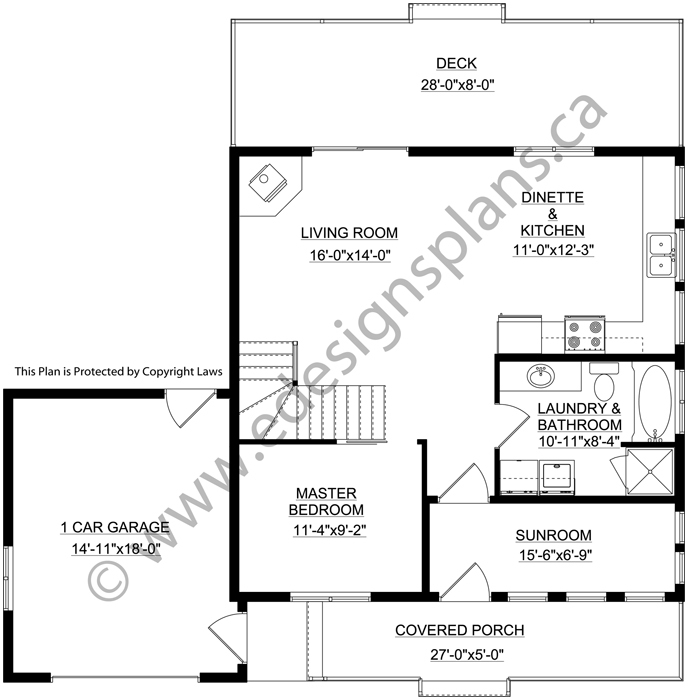 The living room, kitchen, and dinette are an open concept. The living room has a wood stove and patio doors onto a rear deck. There is a 1-car garage attached which has access from the rear yard or the front covered porch. Upstairs, there is an open area to turn into more sleeping space or an office. 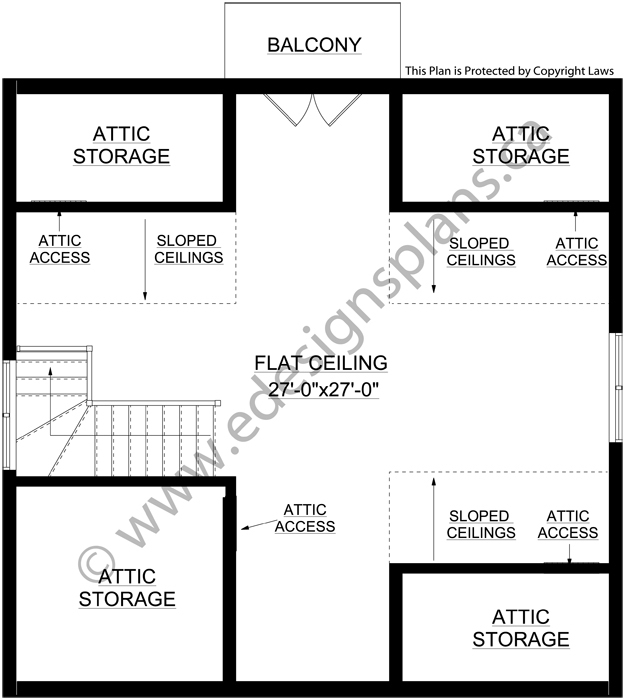 It also has lots of attic storage and access to a balcony off the rear of the building.